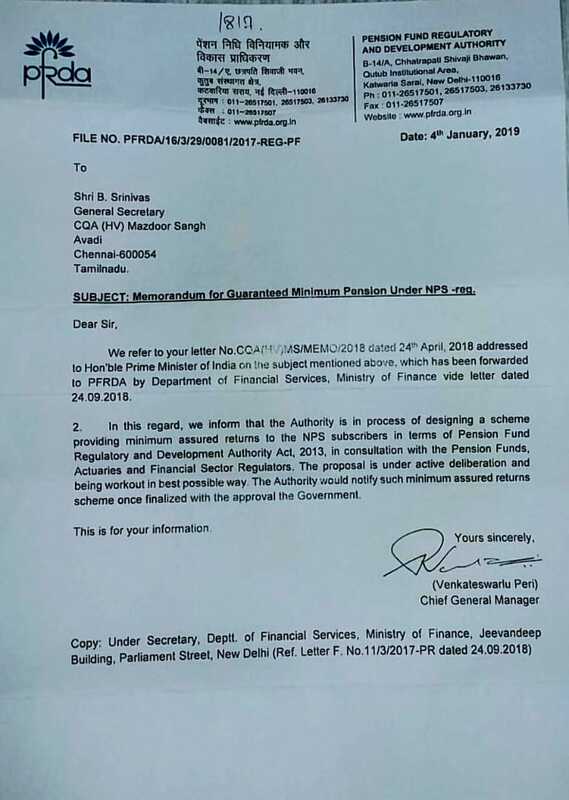 We informed that the authority is in process of designing a scheme providing minimum assured returns to the NPS Subscribers in terms of pension Fund Regulatory and Development Authority Act, 2013, in consultation with the pension funds, actuaries and Financial Sector Regulators. The proposal is under active deliberation and being workout in best possible way. The authority would notify such under minimum assured returns schemes once finalized with the approval the Government.